But what about the kids? They’ll be bored won’t they? Well no, actually! Here are our top tips for keeping them occupied. Stay at a family friendly B&B for your family holiday to the Loire Valley and visit the Chateau du Clos Lucé. The Clos de Lucé is in Amboise, right in the heart of the Loire Valley . This wonderful 800 yr old chateau was at one time the summer residence of the Kings of France. It was Leonardo da Vinci’s home for the final 3 years of his life and is where he worked on several projects for the King of France. Leonardo died at the chateau in 1519. Today, school-age and older children will be captivated by the tour of the Chateau’s interior where they’ll see how the family lived in the early 16th century. Down in the basement you’ll discover over 50 models of many of his inventions. The 3D animations and models really bring his work to life. But the real fun for the kids takes place in the parkland around the chateau which has been developed into a unique open air museum. Children have the chance to discover how Monther Nature influenced Leonardo’s work and to learn more about this engineer, visionary, painter and architect. The 20 actual size interactive working models of some of his inventions bring his work to life in a unique hands-on experience like no other. 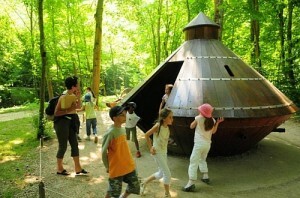 There is just loads for the kids to explore and learn about at the Clos de Lucé. A visit here is an integral part of any family holiday to the Loire Valley and it will be a day out that you won’t forget in a hurry. No family holiday to the Loire Valley in France is complete without a visit to a chateau. 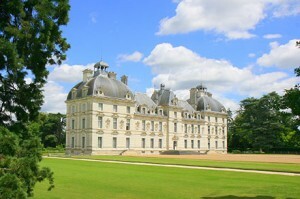 The Chateau de Cheverny is one of the most family friendly. The Chateau de Cheverny is unique in the Loire Valley in that it has been in the same family, the Huraults, for six centuries. In 1922 it was one of the first private homes to open its doors to the public. As it has always been a family home it has a wonderful intimate charm about it, without the Renaissance pretension of some of the other Loire Valley chateaux. Adults and kids alike will love discovering the castle’s interior. 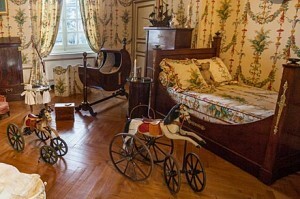 The private apartments on the first floor reflect the lifestyle of days gone by with the birthing chamber and the nursery which contains the family’s original children’s toys. Children between the ages of 7 and 14 will be kept entertained by taking part in a mystery game in which they attempt to decode a secret sentence about the Chateau as they walk from room to room. Using their sense of observation and their memory they’ll unravel the mystery as they make their way through the chateau. In the grounds of the chateau you can hire a boat and explore the canal which wends its way around the extensive grounds or stay on dry land and hire a golf buggy instead. 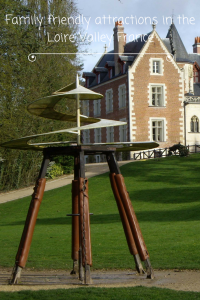 Stop for a picnic in the dedicated picnic area and soak up the atmosphere of this Loire Valley Chateau. There is also an excellent café on site should you wish to eat indoors. One of the highlights of a family visit to the Chateau de Cheverny is the feeding of the 100+ hounds that have been part of life at the chateau since the 17th century. 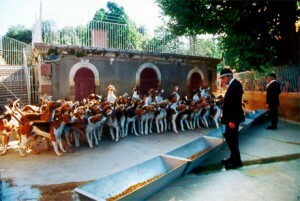 At 11h30 every day from April to September you can watch as these English fox hound/French Poitevin cross dogs take part in a baying, barking feeding frenzy! For your peace of mind, the kennels satisfy all manner of environmental, rural and public health requirements. If castles and culture don’t appeal to the boys in your family then why not visit somewhere completely different on your family holiday to the Loire Valley. The tank museum in Saumur is a must-visit for boys of all ages. 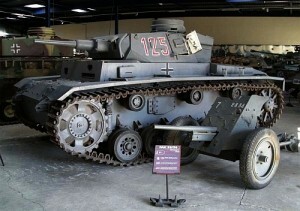 With over 200 exhibits, the museum is home to the largest collection of tanks in the world. The display is changed annually as there are over 800 examples in their total collection! The exhibition is very well organised with a 3 language information panel in front of each display. There are tanks out the front for the kids to climb on and also several tanks in the children’s area specifically for them to climb around in and explore. The best bit is that children under the age of 7 go completely free! 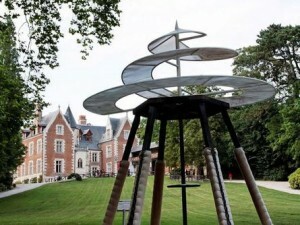 Pierre et Lumiere is a unique attraction just outside Saumur and one that will captivate any child’s imagination on your family holiday to the Loire Valley. 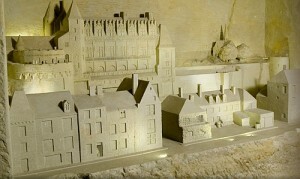 Situated underground, the most beautiful monuments of the Loire Valley have been sculpted out of tufa limestone down to the smallest detail. Wonderful plays of light bring them to life and bring out the natural beauty of the stone. Children will even have the chance to produce their own limestone sculpture at the end of the tour as a souvenir of their visit. Wonderful!